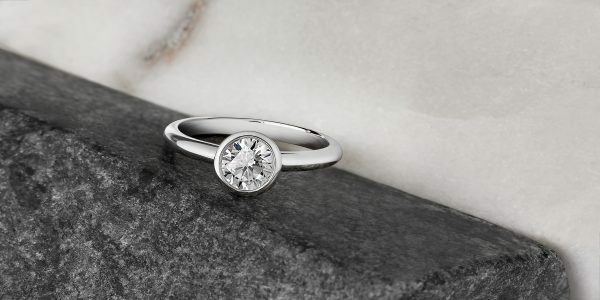 We are UK suppliers of Canada Mark diamonds, certified diamonds of Canadian origin. We have access to a selection of GIA certified diamonds, all Canada Mark™ hallmarked with certification that details where each diamond originated. 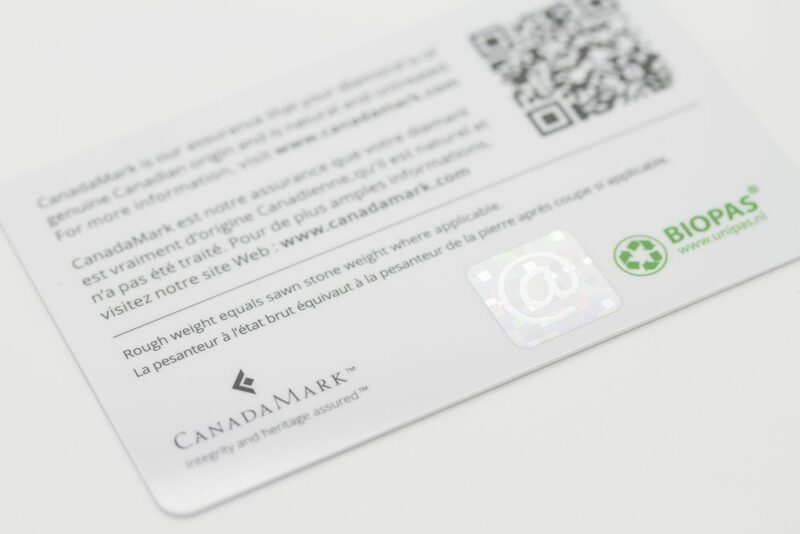 Each Canada Mark diamond is inscribed with with their certification number, which can also be verified on the Canada Mark website. 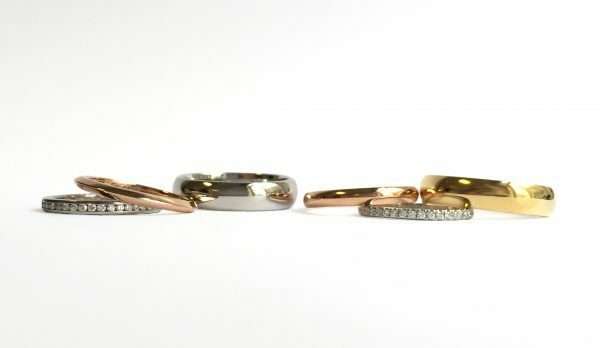 Although supply is limited, each of our diamond searches is bespoke and we can source a range of diamond shapes, sizes, colours and clarities with fully traceable credentials, dependent on your requirements. 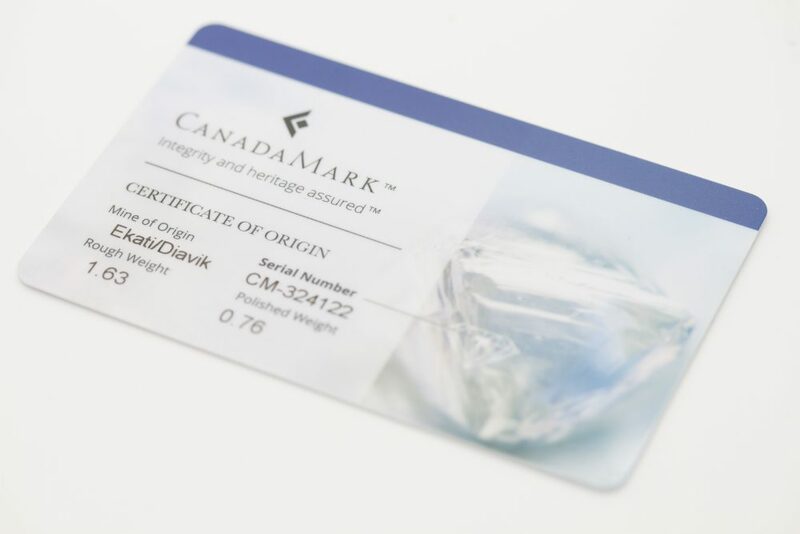 A Canada Mark diamond is typically more expensive than diamonds without source certification, as there is a premium at every stage of the supply chain. What are Canada Mark diamonds? 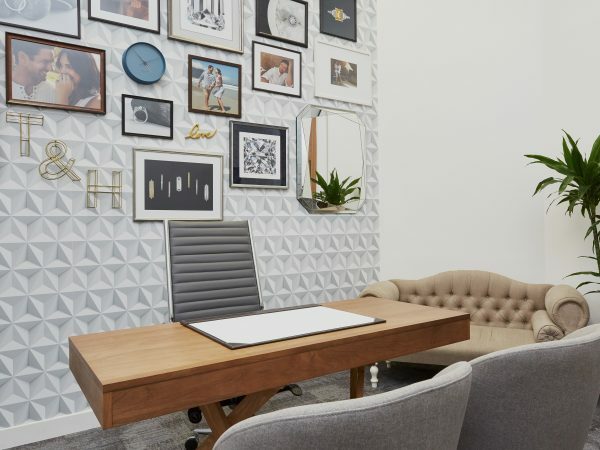 The Canada Mark™ hallmark program is a strategic initiative of Dominion Diamond Corporation to assure the integrity of the supply chain of Canadian diamonds from mine to retailer. The program supports the local native communities by investing in infrastructure, education, healthcare, and training for their employees. 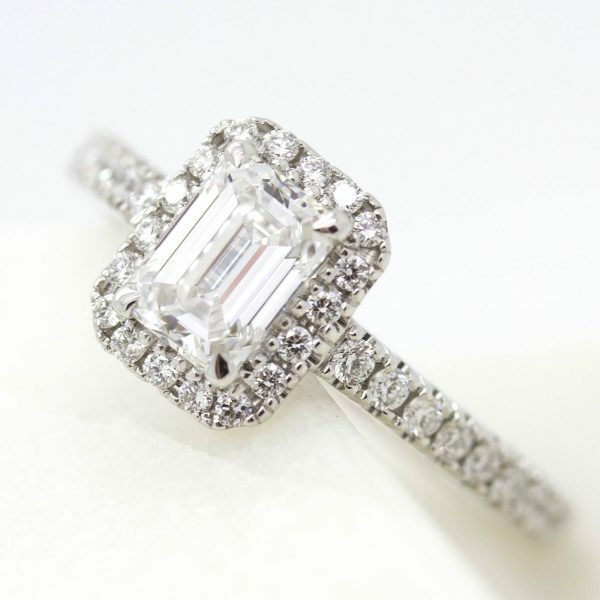 It gives the end consumer of diamond jewellery confidence in the origin and history of their polished diamond. 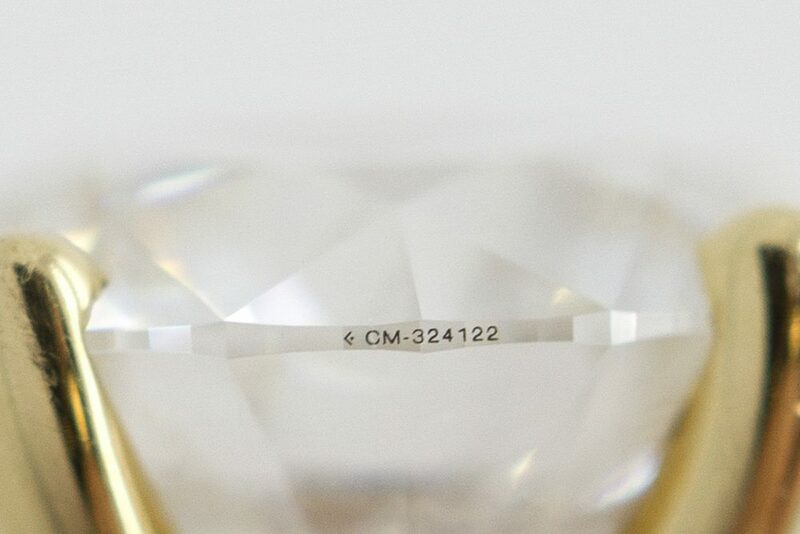 This unique number can be entered online to verify the diamond’s authenticity and origin. 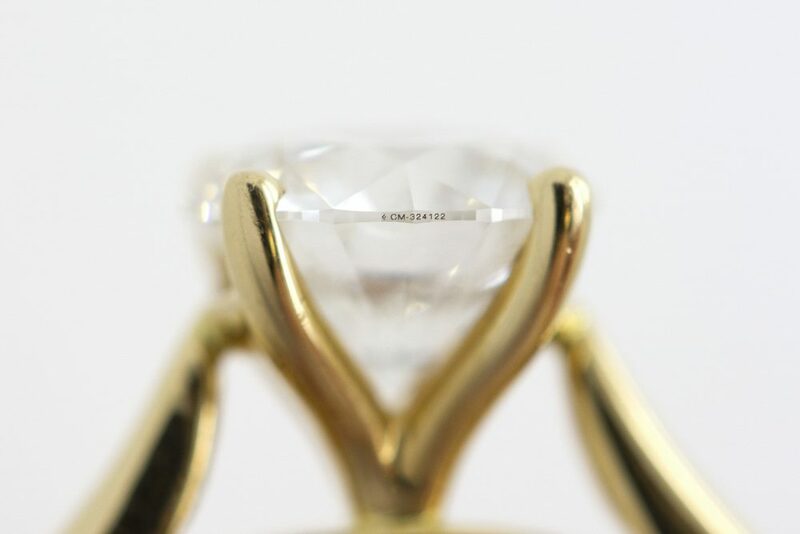 You will need your serial number and polished diamond weight which will be provided in your documentation. 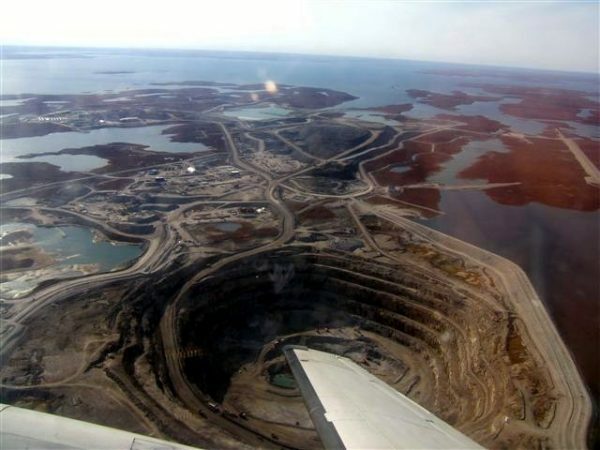 As part of our service, we can provide traceable Canada Mark diamonds originating from the Ekati and Diavik mines in Canada.